This week I had the great pleasure of meeting Astrid Klein and Mark Dytham, the most celebrated foreign architects in Tokyo and founders of Pecha Kucha, a monthly public get-together where young designers from every field are invited to present 20 slides for 20 seconds each (a total of 6 minutes, 40 seconds). Pecha Kucha is now in 198 cities around the world, and KDa architecture has just celebrated its 20th anniversary with a retrospective at Gallery Ma in Roppongi. Klein and Dytham’s office is on the second floor of a low-slung 1960s office with a terrazzo stairwell and unremarkable exterior. From the outside, it could hardly be further from the playful and modern buildings and interiors that they create for their clients. Their work as designers and community-builders is very inspiring for me. Klein and Dytham through boom and malaise have made a success in Tokyo by both adapting to local culture and being outsiders who use displacement to their advantage. Their work includes ordinary objects in unexpected contexts: the circular mirror on a stick at small intersections is repurposed as a delightful viewing mechanism for a top of Roppongi Hills museum cafe, and they used the garish, dancing light sign posts favored by soba and massage shops to frame photos of their work at the retrospective. I also like how they fit bold designs in cramped urban spaces overloaded with conbinis (convenience stores) and other clutter. Their philosophy centers on fun, delight and feeling alive. 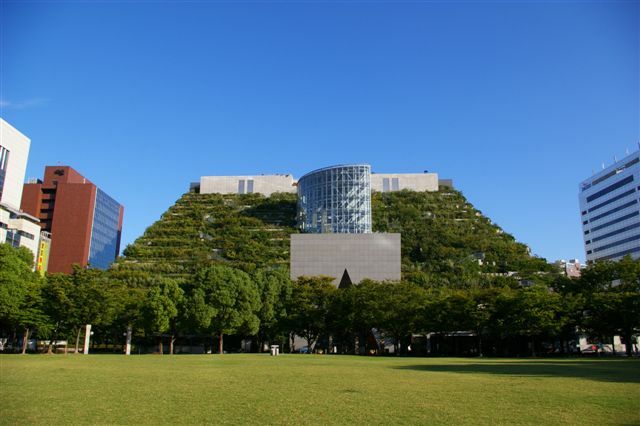 They have done some interesting green projects in the past, including a temporary green wall in the early 00s outside of Ando Tadao’s Omotesando Hills. I think their work would be a great fit with the green design of Tase Michio, who also conveys a sense of being alive by surrounding human life with an exuberance of plant, animal and soil life. One thing Astrid told me sticks with me. She admires the nonchalance of Tokyo people doing cool things and making things without remark or requesting recognition. So do I. 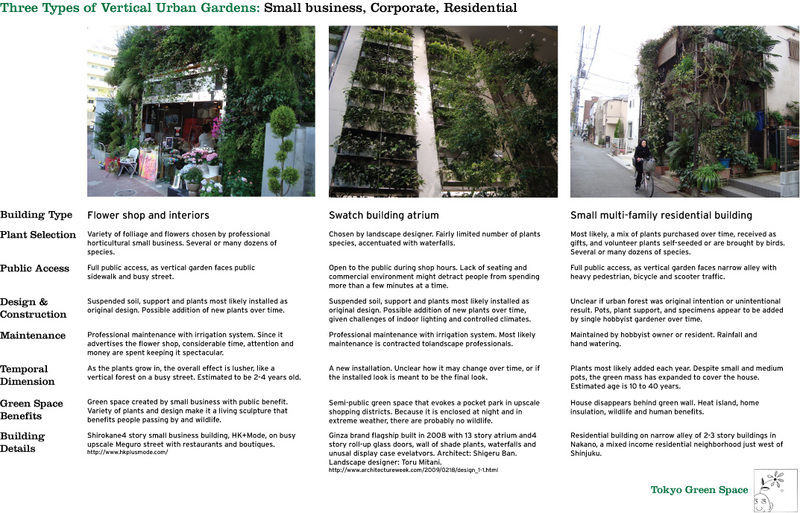 In an earlier post, I talked a little about 5bai Midori‘s street beautification products and the creative force behind this small green business Tase Michio. 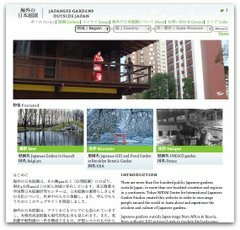 This post uses photos from their website to explore their idea of restoring the countryside, or satoyama(里山), and bringing it into the city. The photos above illustrate the concept of carving a piece of rural nature into a modular square. 5bai Midori plants these bio-diversity trays on modular metal cubes with up to five sides for plants and special light-weight soil. Applications include residential entrances, sidewalks and balconies, apartment and office buildings, green walls, rooftops, neighborhood planters, boulevard and highway guard rails, interiors, benches, and special events. They have targeted individuals, governments (including amazing, yet unrealized plans for greening Kabukicho and Marunouchi), developers and construction companies. These are some images of how plant trays are cultivated to include a multitude of species in a small area. 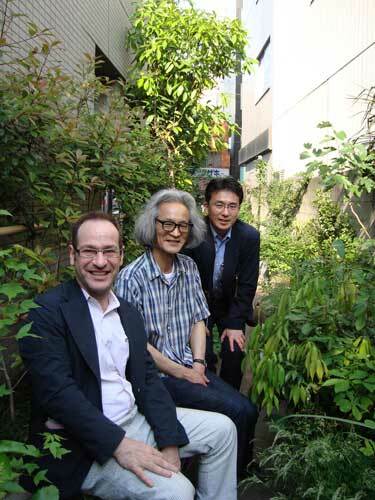 This week I had the amazing opportunity to meet one of my landscape design heroes, Tase Michio (田瀬理夫) of Plamtago. He has created urban architecture and a green business that bring native plants and habitats to urban areas. His most famous work is the 1995 Acros Fukuoka building, a 15 story lush hillside on top of a downtown office building. More recently, he provided the creative direction for 5bai Midori, a Tokyo company that brings “satoyama” (里山) or a slice of rural Japan into urban areas through a modular 5-sided system. With a shock of grey hair, Tase sensei is patient with visitors, provocative and without pretense. Born 60 years ago in Ichigaya, Tokyo, not far from his current Plamtago home office, Tase says he has been monitoring the natural environment of Tokyo since his childhood. His view is that urban land use is worse today than in the 1970s. And despite the success of Acros Fukuoka, which looks fuller and more wild after 14 years of growth, Tase is disappointed that there have been no other high rises incorporating bio-diversity into their architecture. Tase describes his work as “Passive Architecture & Active Landscape with Nature.” For cities, he aims to increase the number of plant species, slow rainfall and filter it before it reaches rivers and bays, create healthy wildlife habitats, and improve the soil. I was struck that he sees as urban eco-system indicators tiny ticks, which reflect good soil and perhaps small animals, and also hawks. Ticks and at least one hawk reside in the forest of Tokyo’s Imperial Palace. In the center of Tokyo, it is possible to be on a row boat and feel removed from the built environment. This is Chidorigafuchi moat near legendary concert hall Budo-kan, on the northwest side of the Imperial Palace. Chidorigafuchi is very famous for cherry blossom viewing (hanami), and practically deserted on this beautiful spring day. 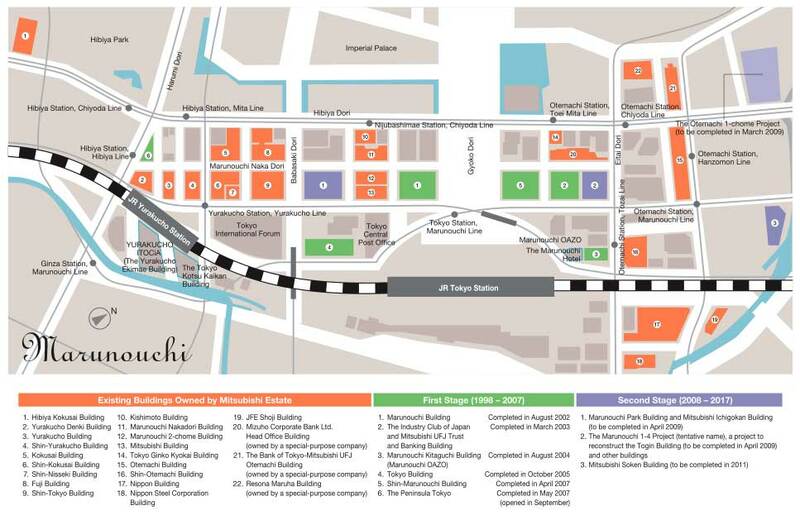 Mitsubishi Estates, one of Japan’s largest real estate companies, has created a comprehensive plan for the downtown business district of Otemachi-Marunouchi-Yurakucho, where it owns one third of the land. Mitsubishi Estates’ size and ecological principles lead the company to think beyond the scale of individual buildings. District heating, cooling and hot water systems provide energy efficiency for 65 buildings. Rooftop greening lowered summer temperatures 25 degrees celsius compared with concrete slab roofs, mitigating the heat island effect. Other efforts to lower the summer temperatures include sidewalk sprinklers, street trees, vertical gardens, and permeable sidewalks and roadways. I am impressed that Mitsubishi Estates is not only improving the environment and efficiency of its own buildings, but taking a leading role in improving the city’s environment. Working on the district level, Mitsubishi Estates relates their greening efforts to a larger goal of using their district to connect cooler breezes from Tokyo Bay across the office towers and into the Imperial Palace grounds and other parts of central Tokyo. Last week I met with the sustainability lead at ARUP, who discuss this global construction engineering firm’s work on the Inujima Art Project near Okayama. Located on a small island that once served as a copper refinery and granite quarry, this abandoned industrial site has been reclaimed as an environmental art work, with architecture by Sambuichi Hiroshi and art by Yanagi Yukinori. The art combines remnants of famed novelist Mishima Yukio’s house, Inujima granite, Inujima Karami bricks and slag. All lighting and cooling is done through passive cooling and natural light using the chimneys from the original refinery. ARUP contributed computer modeling and design for the no-carbon energy systems including wavy wall tunnels to maximize cooling, solar modeling to minimize heat absorption, and modeling of all potential climates and earthquake potential. There is also a grey water system that uses plants to clean waste water, which is then used for orange and olive trees. I had the great pleasure to view Koishikawa Korakuen with Professor Suzuki Makoto of the Tokyo University of Agriculture. Along with Hama Rikyu in Tokyo, and Rokuonji Temple (Golden Pavilion), Jishoji Temple (Silver Pavilion), and Daigoji in Kyoto, this garden is one of five gardens in Japan that have been designated as both special historical site and special scenic spot under the Cultural Assets Preservation Act in 1952. Professor Suzuki was leading a class of foreign students in Environment and Landscape in Japan, and I was very impressed by his deep knowledge and careful attention for his students. Exhorting his students to “use their imagination” and “listen to the birds,” Suzuki sensei organized the walking tour from Inner Garden to Outer Garden, and pointed out where the daimiyo’s house and three quarters of the original estate had been replaced by the massive sports and entertainment complex called Tokyo Dome. 1. A plethora of historic and literary allusions. Begun in 1629, Koishikawa Korakuen was completed by the second lord Mitsukuni of the Mito Tokugawa family with the guidance of Shu Shunsui, a Confucian scholar and refugee from China. The name Koraku, “meaning “delight afterwards,” comes from a Chinese text in Hanchuen’s “Gakuyoro-ki.” Specific sections in the garden evoke the Chinese Rozan mountain and Lake Saiko, and the Oikawa River in Kyoto. 2. Miniaturizations and variety. The garden’s twisting paths and changes in elevation allow the visitor to experience miniaturizations of built and natural environments including a castle moat, Confucian full moon bridge, Kyoto’s Togetsukyo bridge and Kiyomizu Temple, a shrine, and an Edo-era drinking house. In roughly 70,000 square meters, one also experiences forest, mountain, river, lake, rice field, and plum orchard. Large stones in the path, which Suzuki Sensei called “articulation stones,” signal the shift from one landscape to another. 3. All of Japan in one compact space. Suzuki sensei displayed his own illustration of how Koishikawa Korakuen embodies the archetype of Japan’s island landscape, which goes from ocean to pine forest to hills and mountains. I feel very fortunate that Suzuki Sensei has agreed to be the host for my Council on Foreign Relations Hitachi fellowship.